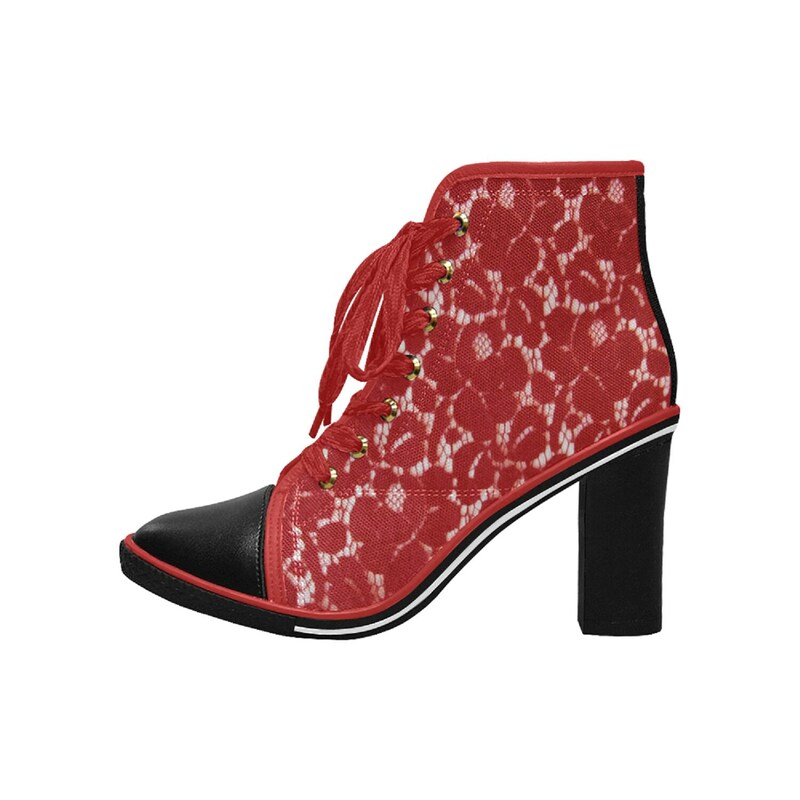 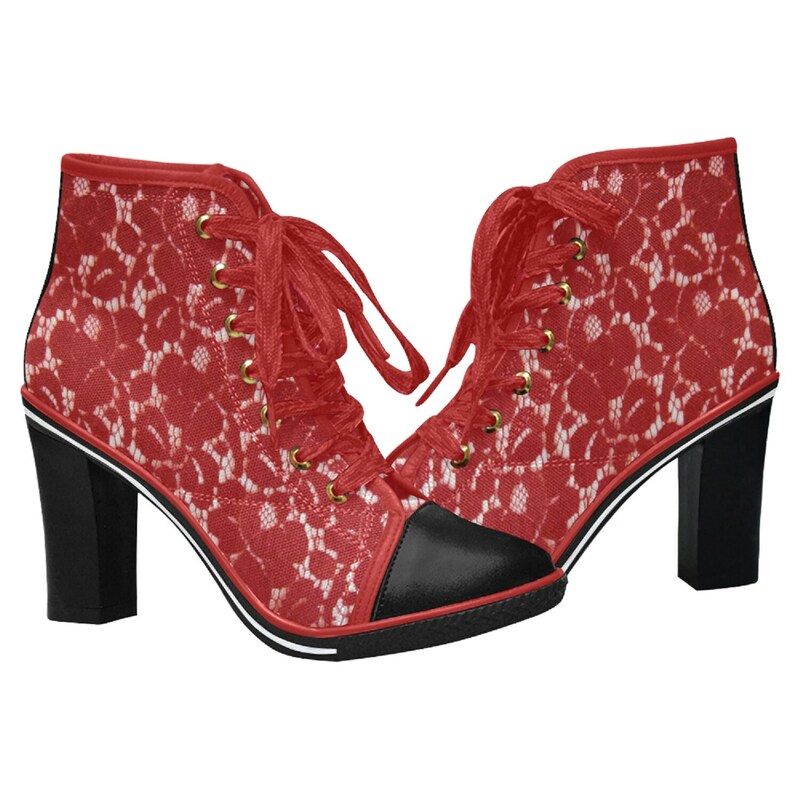 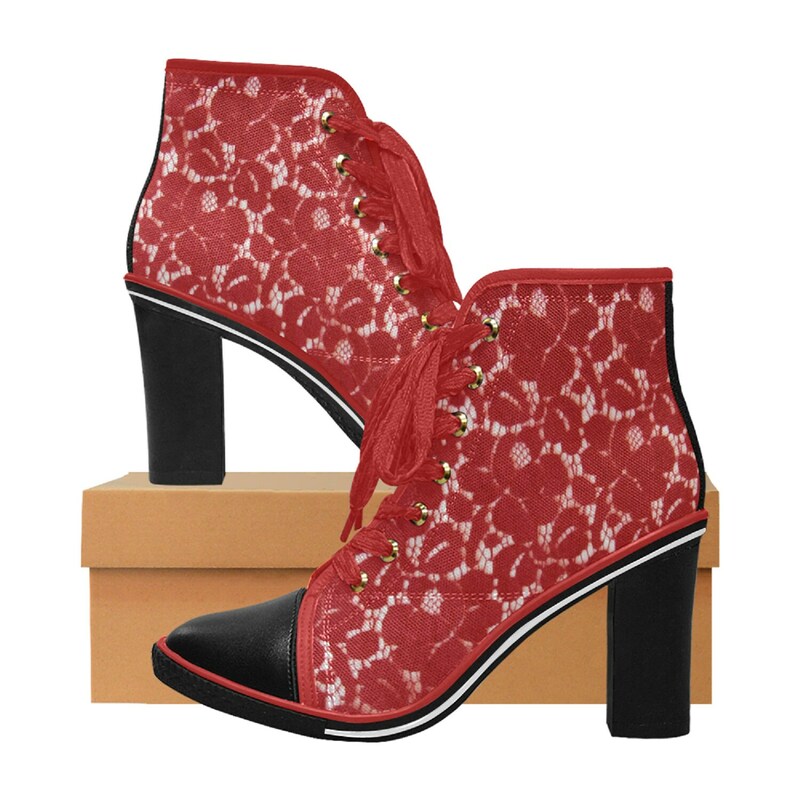 Women's lace up chunky heel ankle boots with red lace print, black toe and heel, red laces. 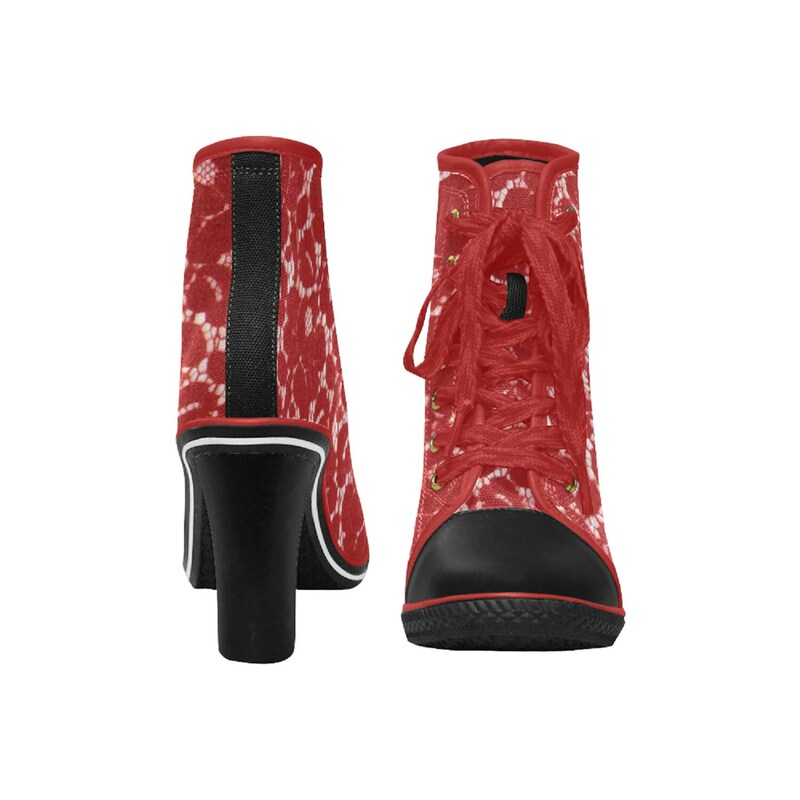 Sizes 6, 6.5, 7, 8. 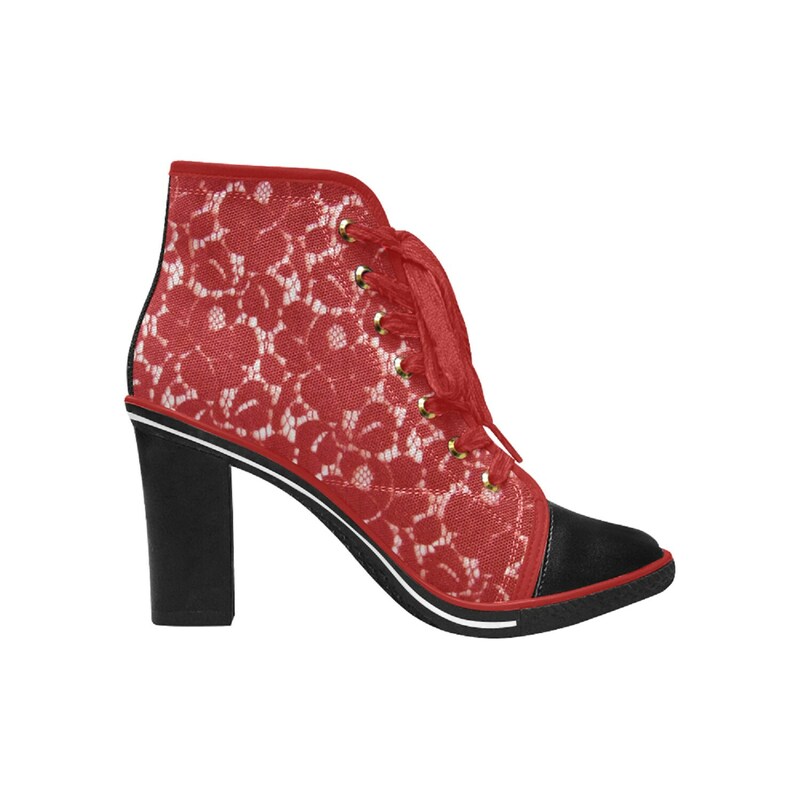 *Look in women's footwear at www.turnback.store for more designs.